The Child Study Center is a unique institution with a mission to provide comprehensive evaluation and treatment of a wide range of mental health problems occurring in children and their families. Our treatment philosophy is based on the building of a strong relationship with our patients and using a number of evidence-based treatments in combination with a multi-disciplinary team approach. 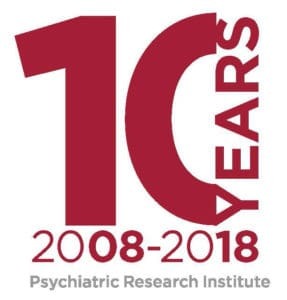 Our goal is to be a model of excellence in providing for the mental health needs of children and their families as well as continuing to be a leading center in the training and education of mental health professionals specializing in the care of pediatric populations. Medication Consultation and Management – Medication management, in combination with psychotherapy, can be an important part of the overall plan of care for children and adolescents with emotional and behavioral disorders. Our medication management clinic is a teaching clinic with close supervision by full-time faculty. Every child is seen by a resident physician being trained to provide quality child and adolescent psychiatric care in consultation with a fully trained faculty attending physician. Our physicians conduct thorough psychiatric evaluations of children and adolescents and formulate an individualized treatment plan in collaboration with their family and therapist. Our primary goal is to best meet the needs of our patients to maximize success in school, social, and family interactions. Part of the advantage of a teaching clinic is that the latest research and evidence-based interventions are considered when forming an overall treatment plan. Our Policy on Medication Management: All prescriptions should be taken as directed. It is very important to make and keep follow up appointments to allow appropriate monitoring of your medication. Note: we will no longer refill medication by phone. Good care of your child requires that we do a proper assessment of how your child is responding to their medication before renewing it. This is especially true for controlled substances like stimulant medications and benzodiazepines. Before you leave your appointment, your doctor will make sure that you know how many days your prescription will last and will ensure both you and the clerical staff know when you need to schedule your next appointment to make sure you do not run out of medication. If you are unable to come to your next appointment, make sure you schedule another appointment before your medication runs out. Some medications cannot be stopped abruptly. In an emergency, we will ask you to come to the clinic for an urgent appointment. Psychotherapy – Our therapists work with both the child and his or her caregiver to provide evidence-based therapeutic interventions to treat a wide range of emotional and behavioral disorders. Specifically, therapists utilize a group of short- term psychological interventions called cognitive behavioral therapy (CBT) to help children and families learn coping skills to manage current difficulties and symptoms. Specific types of CBT interventions are frequently used to treat anxiety, depression, traumatic stress, and behavioral difficulties. 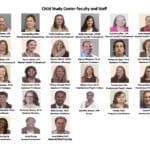 Additionally, therapists at the Child Study Center are trained in highly specialized treatments that are not widely available in other clinics. Trauma-Focused Cognitive Behavioral Therapy (TF-CBT), is an evidence based, manualized treatment for youths ages 3-17 with traumatic stress and their non-offending caregivers. In this treatment, therapists work with the child and caregiver, focusing on trauma psychoeducation, parenting skills, relaxation, affect expression and modulation, cognitive coping, and processing of the trauma through a narrative. Child-Parent Psychotherapy (CPP) is an evidence-based treatment for young children ages 0-5 who have experienced traumatic stress and, as a result, are experiencing behavioral, attachment, and/or mental health problems including Posttraumatic Stress Disorder (PTSD). The primary goal of CPP is to support and to strengthen the relationship between a child and his or her caregiver as a vehicle for restoring the child’s sense of safety, attachment, and appropriate affect, as well as improving the child’s cognitive, behavioral, and social functioning. The main components of CPP include psychoeducation of trauma and child development, behavioral management, enhancing safety, affective regulation, enhancement of the child-parent relationship, trauma processing, and continuity of daily living. Parent-Child Interaction Therapy (PCIT) is an empirically-supported, manualized parent-training therapy for children ages 2-7 who exhibit significant disruptive, aggressive, and oppositional behavior. The PCIT therapist, rather than interacting directly with the child, “coaches” a caregiver in using new skills while the caregiver is playing with the child. The first phase of treatment focuses on teaching the caregiver positive attention skills to strengthen the parent-child attachment. When the caregiver masters these skills, the family moves on to the second phase, which addresses appropriate limit-setting and consistent discipline. Psychological Evaluations – Psychological evaluations can provide information to help identify current problems, determine whether treatment is needed, and provide recommendations on the types of treatment most likely to be effective. It can also provide documentation needed to obtain services and support in school. We conduct evaluations for a broad range of presenting issues, including ADHD, learning difficulties, traumatic stress, anxiety, mood problems, Autism Spectrum Disorder, and disruptive behaviors. A psychological evaluation is a process of integrating information about a person’s thoughts, emotions, behaviors, and relationships. We gather this information from sources such as school and health records, interviews with the patient and others who know the child well (such as family member and teachers), direct observations of behavior, and one-on-one standardized tests. This process can usually be accomplished with one full day of testing, but will occasionally require a family to return for a follow-up testing appointment. Patients and families will receive in-person feedback and a written report of the findings and recommendations. You will need to contact your child’s primary care physician (PCP) and ask for a referral to be faxed to (501) 364-3966. Once we receive the referral, our staff will contact you regarding the next steps for scheduling an appointment.